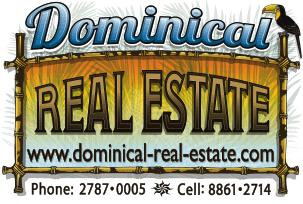 3.5 Acres Rainforest Property, Jungle feel, Waterfalls surrounded, no Restrictions! This is an outstanding natural property. The dense vegetation and the variety of wildlife gives you the opportunity to experience "Living in the Rainforest". From the deepest to the tallest, this place offer approximately 12 waterfalls along the river, many swimming pools, jacuzzis and natural slides are to enjoy through the entire gated community. The mother farm is called "Twin Rivers" and is an exclusive family oriented community with 250+ acres, on which 60 acres are designated to nature, turning into an amazing friendly environment for families and future generations to learn, live and be inspire by the beauty and power of this amazing territory. This lot of approximately 3.5 acres is available for sale with full title, water, electricity and road in great condition, te terrain of gradual topography allows you to build multilevel home or cabins and enjoy the blend of primary and secondary forest. This property also have potential for a natural retreat, yoga, jungle trails, spiritual gathering and eco living. If you are looking for a place of tranquility not far for civilization, this property could be it. It is located just 3 miles off the Costanera in a well maintain road organized by the community of San Josecito along with the municipality. Uvita will be the closest town offering all amenities such as banks, clinics, veterinarian, restaurants, supermarkets and more. Marino Ballena Park is also within 3 miles away and you can enjoy whale watching or sun bathing, if you opt for surfing Playa Hermosa is also within 3 miles and has fun waves for all levels. Along the resplandecent Osa Peninsula there are many beaches to discovery. "You will find yourself in the heart of the jungle"